Design & build services supporting a wide variety of industries including: Power, Process, Petroleum Terminals, Refineries, Steel Making, Chemical, Municipal, Institutional, and Government. Witherup's tank repair/modification services enable customers to repurpose or extend the life of existing tanks. Witherup's facilities are fully equipped to build smaller tanks and ASME vessels. Witherup Fabrication and Erection, Inc. designs, fabricates, erects, and repairs welded steel storage tanks of all sizes up to 7 million gallons. 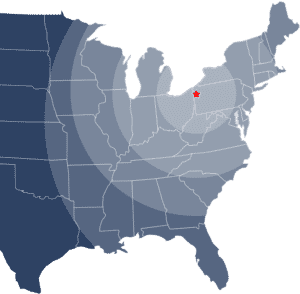 Witherup's longstanding commitment to customer service, efficiency, and safety makes Witherup a repeat choice with numerous world-class clients throughout the United States. Whether your tank needs are large or small, new construction or repair, or shop fabrication only, you can come to Witherup with confidence.